I love the Halloween time of year! 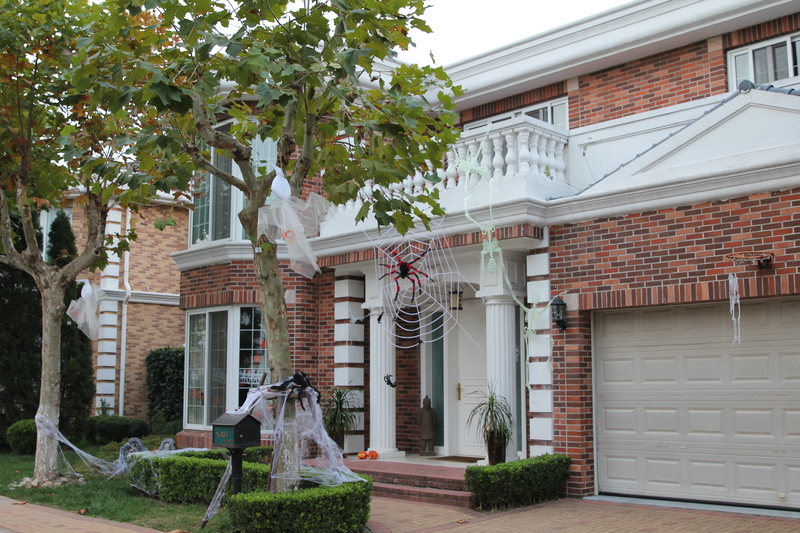 The crisp evenings, the beautiful leaf colors, the spooky decorations and, of course, Trick or Treat! 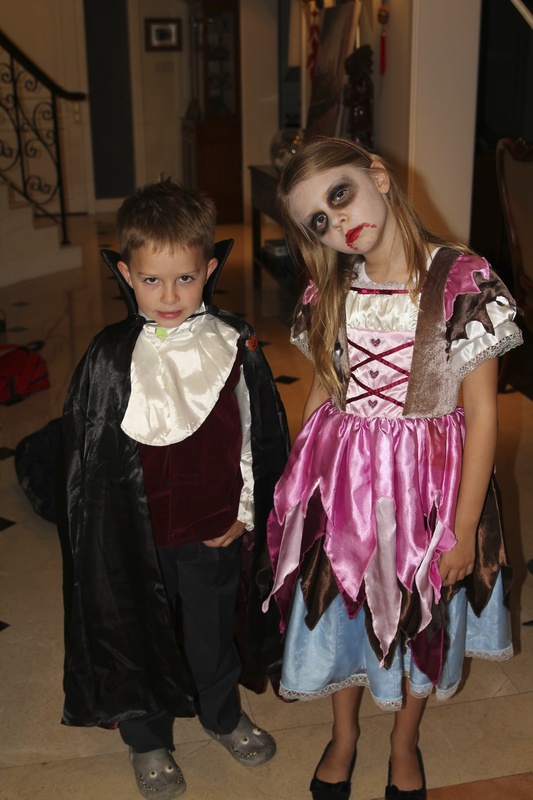 This year, Oliver wanted to be Dracula and Isabelle wanted to be Wonder Girl. However, when Isabelle’s costume arrived it was far too big, so she was back to a witch for school dress up day, and then bride of Dracula for the party. Ready for Halloween. Check out the skeletons pulling each other up to the balcony! Owen put the ultraviolet light back into the porch light and it made a great effect on the white spiders web! We spent ages getting the skeletons just right. They are supposed to look like they are helping each other up to the balcony and they are supposed to glow in the dark. They did not glow like we hoped, so a little of the effect was lost! 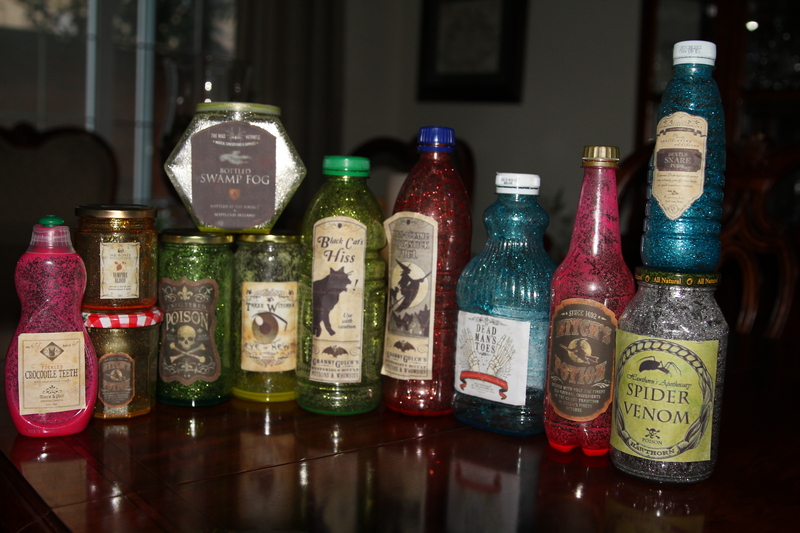 Owen had also made some scary potions (glitter and glow sticks) which lasted most of Trick or Treat night. Scary potions that glowed all night! We were also 1 of the most popular houses on the Trick or Treat route as we were giving away glow bangles! These were hugely popular with all the children. Like last year, the whole neighborhood was out and about by 5.15pm! Oliver and I managed to cover all the streets within 90 minutes and he had an overflowing sack of loot! Owen and Isabelle were giving out the glow bangles and candy. 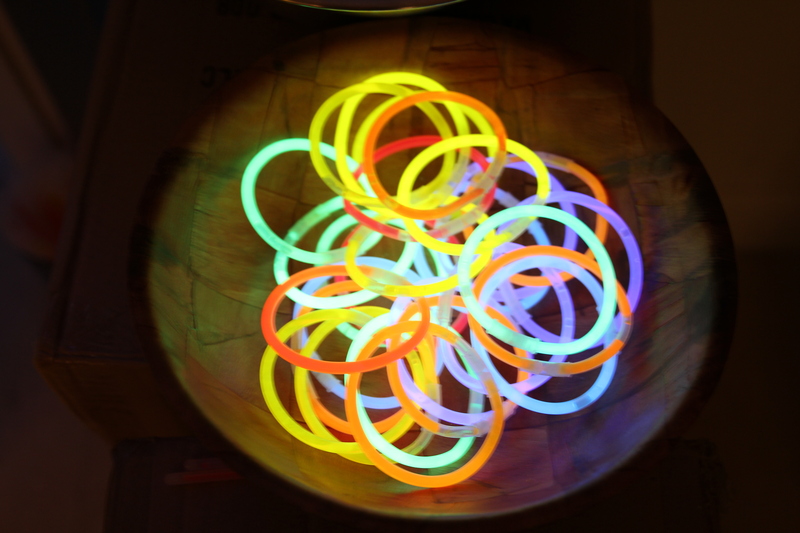 Glow bangles ready to go! Count Dracula and Bride of Dracula. Isabelle’s make up looked good!! Oliver did not like the teeth too much! 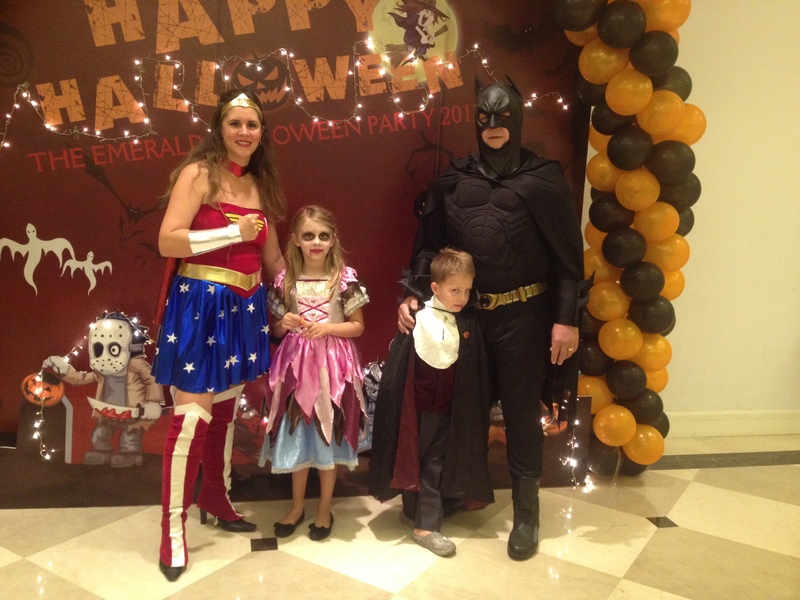 Wonder Woman, Bride of Dracula, Count Dracula and Batman. The kids loved the party. 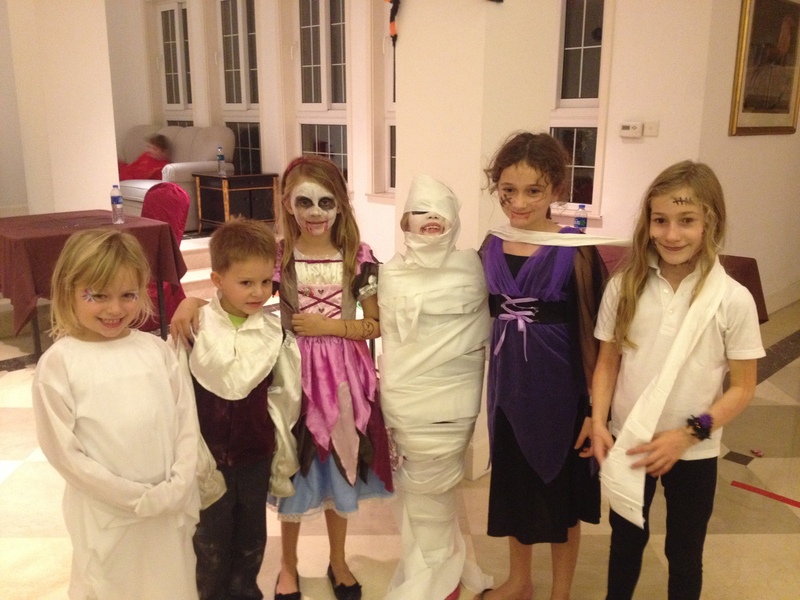 There are always plenty of activities for them, like skeleton tossing, pumpkin carving and zombie chasing! The party ends at 9.30pm so it is not too late for the little ones. All of their friends were there and dressed up in different costumes. Another Chinese Halloween celebrated in style! 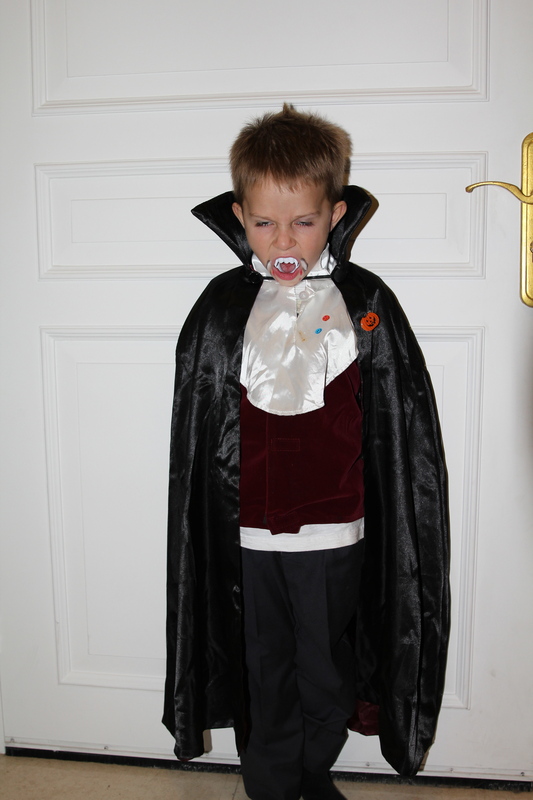 This entry was posted in Uncategorized and tagged Emerald, friends, Halloween, Kids, Party. Bookmark the permalink. 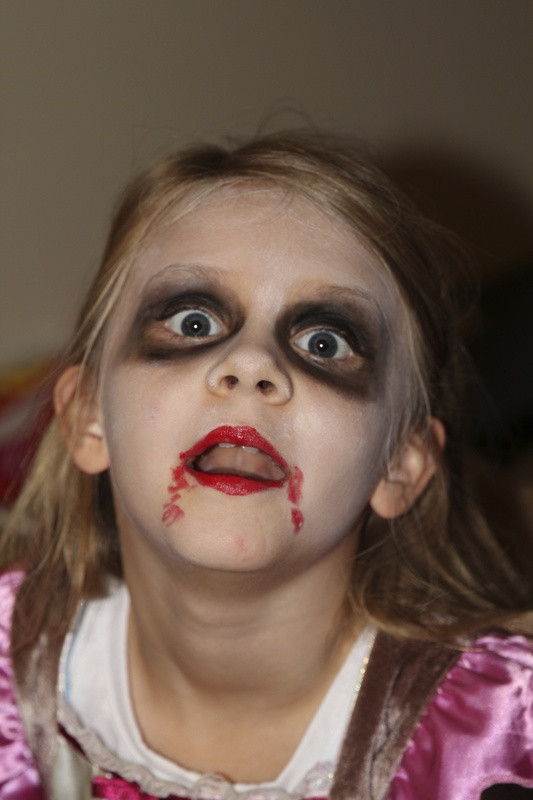 I loved the Halloween makeup. It was very effective and spooky! Thank you! We had fun getting ready for Halloween.